Mathison is the world’s leading authority on Chief Digital and Data officers, and has been quoted by American Banker, CIO.com, CIO-UK, CMS Wire, CNBC, Computer Weekly, Computerworld, Diginomica, EdTech Magazine, FedTech Magazine, Fierce CIO, Financial Times, Forbes, Guardian, Huffington Post, I-CIO, McKinsey & Company, MIT Sloan Management Review, VentureBeat, Wall Street Journal, and ZDNet, among others. He has given keynote presentations everywhere from Columbia University to the United Nations (3 times in 2010), from Austin (SXSW) and Amsterdam to Zagreb, Croatia. BE THE MEDIA is an extension of Mathison's award-winning work in eliminating inefficiencies in publishing, providing all participants with more egalitarian, democratic and open systems. The book is the result of a decentralized, collaborative effort by some of today's leading media activists, educators and experts. BE THE MEDIA offers solid, practical and proven techniques that show artists how to inexpensively create and widely distribute their content. Mathison has been interviewed by Dow Jones, Reuters, Publish, Upside and EContent, among many others. Mathison's initiatives have covered by leading analysts including Forrester Research, JupiterMedia, Yankee Group, Giga Group, META Group, Delphi, Gartner Group, Patricia Seybold Group, IDC, Outsell and the UK-based firms Ovum, NetImperatives and Bloor Research, among others. Articles on Mathison have appeared on CNN.com, in the Financial Times, the Harvard Business Review, Esther Dyson's Release 1.0, Fortune, Upside, The New York Times, Computer Letter, the Seybold Report, Demo Letter, CNet, Red Herring, MacWorld, Internet Week, InfoWorld, Computer World, Interactive Week, Information Week, Newspapers and Technology and XML.com, among many others. He was invited by Inc. Magazine to join a panel of CEOs to evaluate barter sites. As speaker, panelist, moderator or chairman, Mathison has presented at conferences across all segments of the media, such as Digital Hollywood, Book Tech, Streaming Media, Seybold Publishing, Internet World, and Internet Outlook, among many others. 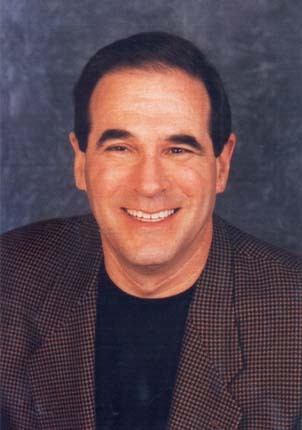 In July 2004 he was Chairman of Publicity for "Declarations of Media Independence" conference. Internationally, he has appeared at UK Online, the Frankfurt Book Fair, the Cairo Book Fair, and he made presentations entirely in Spanish to librarians throughout Central and South America. Home Aid America: a non-profit organization that builds and maintains dignified housing where homeless families and individuals can rebuild their lives. HomeAid’s shelters serve abused children, victims of domestic violence, homeless veterans, at-risk teens, people living with HIV/AIDS, the temporarily unemployed, and victims of natural disasters and other catastrophes. Board of Directors: Media Freedom Foundation: supports First Amendment organizations and investigative research (Sonoma, CA. 2008-2011). Board of Directors: Webhood.org is a non-profit entity whose mission is to break down income related barriers to computer education for underprivileged and at-risk youth (Cambridge, MA). Mathison holds a B.A. from the State University of New York, and a Masters degree in International Business with a focus in East Asian studies from Columbia University's School of International and Public Affairs. Mathison's full Resume can be found here. 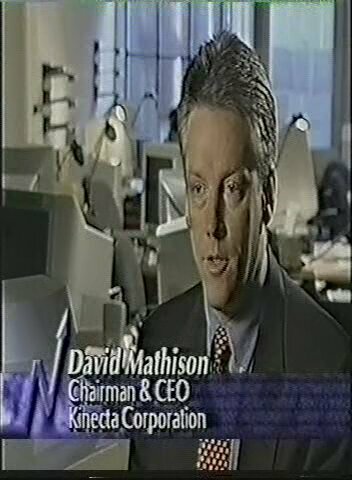 Kinecta Corporation (1998 - 2001) Chairman and CEO. Kinecta enables large publishers to manage robust content relationships. Dubbed a "Napster for Adults," Kinecta won awards from Seybold Publishing, ComputerWorld and Crossroads. Kinecta was acquired by Stellent Inc, a provider of enterprise content management solutions with over 4,400 customers, including much of the Global 2000. In November 2006, Stellent was acquired by Oracle for $440 million. Reuters, Ltd (1994 - 1999) Vice President, Syndication. Mathison created numerous products that enabled Reuters' to pioneer the business model of content syndication on the internet. Mathison's products allowed millions of global internet users to view free financial data, news, photos, audio, video and multimedia content. Giving the general public free and direct access to critical breaking news makes them better informed citizens and decision-makers. "Kinecta was selected for providing innovative technology and solutions that streamline content delivery, allowing companies to bypass the use of an intermediary." "Kinecta's content distribution infrastructure reduces the cost of doing business online and increases the value of business relationships by automating the distribution and management of information and content between networked partners and affiliates." "Content syndication is a proven application within the media and publishing industries and is rapidly being adopted as a foundation for business-to-business commerce and collaboration," said Nina G. Lytton, editor of the Crossroads A-List Awards. "Kinecta Interact helps companies tighten their relationships with partners and gives IT managers the opportunity to standardize previously undisciplined processes for which they were held accountable." The Seybold Hot Picks spotlight exceptional products and technologies that are particularly relevant to professional publishing. "Content syndication is becoming an important topic for many publishers. Any publisher interested in broadening the availability of its content should take a look at Kinecta Interact," said Patricia Evans, managing editor, Seybold Publications. The goal of BE THE MEDIA is to promote positive social change by enabling people-powered, community-based, participatory media. The book helps independent artists create and distribute content without selling their royalties, rights or souls in the process. "The worlds of content, commerce and advertising on the Internet are colliding and intersecting, unlocking tremendous new opportunities and revenue streams. The merchandising of content allows publishers to turn content into a product that can be cataloged, inventoried and sold. Content providers that understand and leverage this fundamental shift can merchandize and syndicate their digital assets to take advantage of new pricing, advertising, and distribution models. These new models unlock powerful and diversified revenue streams on the Internet that were previously unimaginable"
"What do the VCs contribute to your company?" "Insight, advice, contacts, experience, and, of course, capital." "What surprised you about working with VCs?" "The ecosystem of the VC community and where each particular VC fits in. An entrepreneur needs to know a VCs investment portfolio criteria, what stage company they invest in, and what percentage stake they prefer." Kinecta was quoted in the third and fourth editions, and contributed a chapter on the implementation of ICE (Information Content and Exchange) in the third edition. This interview with BE THE MEDIA publisher David Mathison compares today's digital media renaissance with previous pivotal periods in human history such as the Axial Age (800-200 BC), the Carolingian Renaissance (800-900 AD), and the European Renaissance (1400-1700 AD). Author, healer, and KWMR radio host of Force and Feeling Julie Motz interviews David Mathison about his book, BE THE MEDIA, and his community media activism. A transcript will be available soon. Tony Trupiano, host of The Tony Show, interviews David Mathison about his upcoming book, BE THE MEDIA. They discuss how independents and progressives can be successful without selling their souls to corporate media. Mr. Trupiano was a Democratic candidate for Congress in 2006. KGO radio host and Voice of Reason author Ronn Owens interviews David Mathison about FCC Chairman Michael Powell. Ronn's interview with Michael Powell was interrupted towards the end by surprise caller Howard Stern. The original audio broadcast interview of Michael Powell by Ronn Owens, interupted at the end by surprise caller Howard Stern (plus transcript! ), is available on the BE THE MEDIA blog. 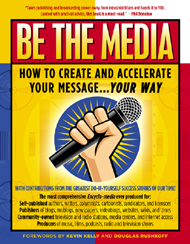 Mel Van Deusen interviews author and publisher David Mathison about his book, BE THE MEDIA. Video will be available soon. David Mathison was moderator of the California State Senate forum, featuring incumbent State Senator Carole Migden and candidates Assemblyman Mark Leno and SF Police Commissioner Joe Alioto Veronese. The event was covered by CBS-5 KPIX reporter Manuel Ramos. David Mathison hosted a panel on Community Media with guests Larry Bragman, Mayor of Fairfax, CA and member of the Marin Telecommunications Agency; Julie Akins, Executive Director of Petaluma Community Access; Attorney Peter Franck, Chairman of Media Action Marin; and Flor Emert, Director of the Marin Community Media Center. The panel explored the benefits of community media, and the opportunities for continued operational funding of Marin's new facility. 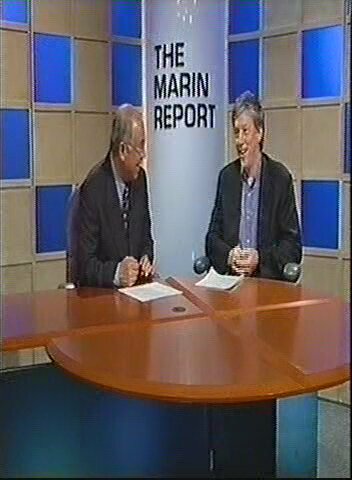 Curtis Kim of the multiple award-winning Marin Report interviews author and publisher David Mathison. The interview discusses Mathison's upcoming book, BE THE MEDIA. Stephanie Abrams interviews Kinecta Corporation Chairman and CEO David Mathison. This interview focuses on the importance of syndication to both traditional and online businesses. Be The Media is featured as a success story for Democracy Now! "A chapter in the book describes how a lecture given by Amy Goodman inspired Marin County, CA media activists to have Democracy Now! 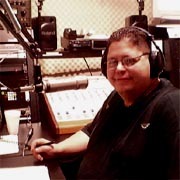 broadcast on the local public access station. By mobilizing community support, they won the right to a community media center with local public access channels, and a $2.5 million grant from Comcast." In SF Bay Guardian's "Free the press" issue, Be The Media is featured as a group helping to reform San Francisco Bay media, along with Media Action Marin, Media-Alliance, and the Action Coalition for Media Education (ACME). The article mentions the importance of Kinecta's patent-pending content tracking technology, Content Metrics, developed by Kinecta co-founders Arthur Do, Adam Souzis and David Mathison. Content Metrics provides companies with usage statistics for their syndicated content on partner sites. It can record click-throughs of URLs embedded in content, providing page view and unique visitor data for designated content packages. In this Publish Magazine interview, David Mathison explores the reasons for founding the Kinecta Corporation, which provides infrastructure that streamlines the syndication process for global content providers such as Fidelity, the Financial Times, the Economist and Reuters. It also looks at his role as former vice president of global syndication for Reuters, where he built products in the mid-1990's designed to deliver Reuters financial, text, audio, video and multimedia content over the internet instead of costly satellite, FM and terrestrial methods. In this interview/profile, David Mathison discusses the importance of using a syndication platform like Kinecta's because it provides a direct connection between content providers and subscribers, as opposed to an outsourced service with an intermediary in the middle. This is especially true for publishers that wish to maintain full control over their content, brand and partnerships. David Mathison asserts that companies can fully realize the value of their content by leveraging the syndication model - the simultaneous publication of content to multiple outlets. Syndication of content can strengthen alliances, benefit partners, attract users, increase market reach of a content provider's brand, reduce the costs of acquiring new customers and generate incremental revenue through subscription fees or advertising revenue share. From this interview with David Mathison: "Syndication technology plays a key role in the content distribution process, and it is an essential tool for the materialization of any business model based on online content...Kinecta has been the among the very first companies to enter this space. David Mathison, founder and CEO, has been around a long time..."
In this interview with Upside, David Mathison discusses how painful it was to distribute digital assets in the early 1990's, since all the big players - AOL, CompuServe, Prodigy, etc. - had proprietary online systems. To deliver content, one had to write in the Blackbird format to deliver to Microsoft, or Rainman to get into AOL. The environment was a heterogeneous mess, therefore only large publishers could leverage the syndication model. "Realizing the Value of Online Content." In this article David Mathison wrote for Ziff Davis, he discusses syndicated distribution and exchange with other companies to mutual advantage. Here are more articles and interviews with David Mathison. Here is a detailed list of articles related to David Mathison, his products, companies, and work. Based in California with a New York sales office, natural E creative group is a diversified media company with properties in print, broadcast, interactive and licensed goods. natural E creative publishes the book and Internet presence for "Be The Media." David Mathison has been Chairman and CEO since 2002.